There was never a thought to start with about making this image, the whole thing started off as a bit of fun with Jake the day my mum and Zara threw powder all over him. I found an article on “creating lightning” on the internet and followed that. 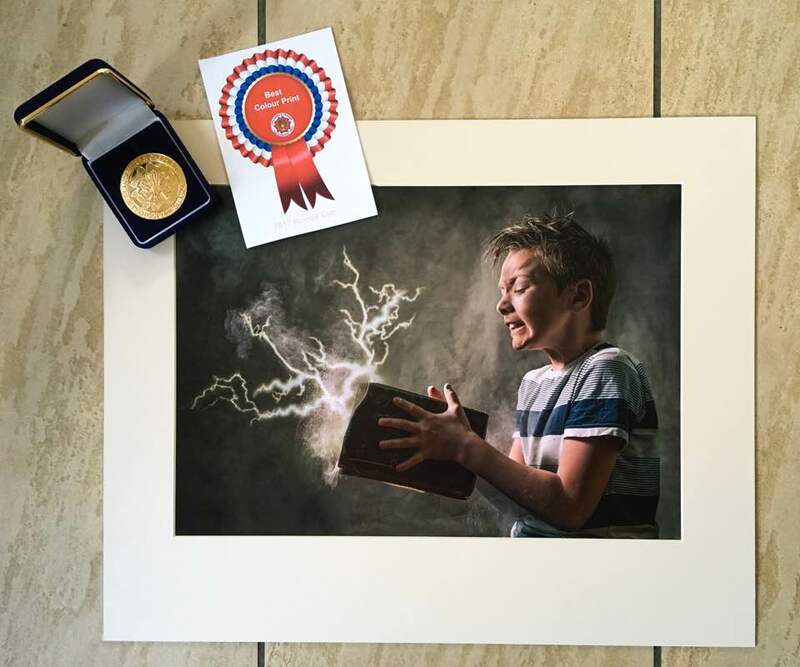 The print was selected to be entered into Lancashire & Cheshire photographic Novice cup 2017, I thought it may get a good score but never expected in my wildest dreams for it to be the best colour print and to win a gold medal – now that was a total surprise, I had no idea until I was presented with it at the club.